← Christmas Common in summer…..
About 72 people attended the meeting in Russell’s Water village hall last week to hear from BT and Oxfordshire County Council on their plans for broadband roll out. I am grateful to Craig, Mark and Stacey for coming along and doing their best to update us. And to Ian and the village hall team. It’s fair to say many people found it quite confusing. There’s a general sense that BT, with OCC money is doing something, but for the majority it is unclear as to what and when. A few people went away clearer that eventually they will get something, others far from clear. A good number of people discovered that not only did they not know what speeds they might get and when, but nor did BT. Planning for BT broadband is only at a high level in our area and they haven’t yet got to the detail of which houses. Coverage is supposed to hit 70% of our houses (post code list here). In many cases we shall only know which specific houses within a postcode area will get better or superfast broadband AFTER BT have done all the work and the resident runs a speed test. Right now, the best way to check when your house will get connected is to go to the broadband post code checker map on the Better Broadband Oxfordshire website. This is only accurate however to partial postcodes – it doesn’t yet drill down to your specific post code. If you enter your post code LEAVING OFF the last letter, that’s as accurate as it gets. In rural areas with long line lengths this isn’t terribly helpful – eg RG9 6H covers the whole of the Stonor Valley, where there will clearly be differing timing and outcomes. Timings are uncertain unless a specific short term date is given. Detailed forward planning is published six months ahead of the date it will happen. Check the post code checker every quarter, noting caveats above. BT work is scheduled to be complete by end December 2017. Having worked myself on many projects I am always sceptical of ‘end of calendar year’ deadlines. This sort of roll-out is staff dependent and you lose many on any roster over Xmas. I’d expect this to over run – although that it better than it being cut off at year end if unfinished. The green cabinets we see being notified through planning and starting to pop up only partially inform coverage and we don’t have a full picture yet (see six month planning cycles above). Some houses are not connected to cabinets at all but direct to the exchange (known as a DEL line) so they won’t benefit from cabinets near them which might be serving other communities. Conversely just because a cabinet isn’t planned for your area yet doesn’t mean you won’t get superfast – some rearranging of lines might go on or a new cabinet that could help instead. There are other structures (cabinets etc) being planned that have not yet come forward through the planning system – see this list presented at the meeting which BT/OCC are mapping. 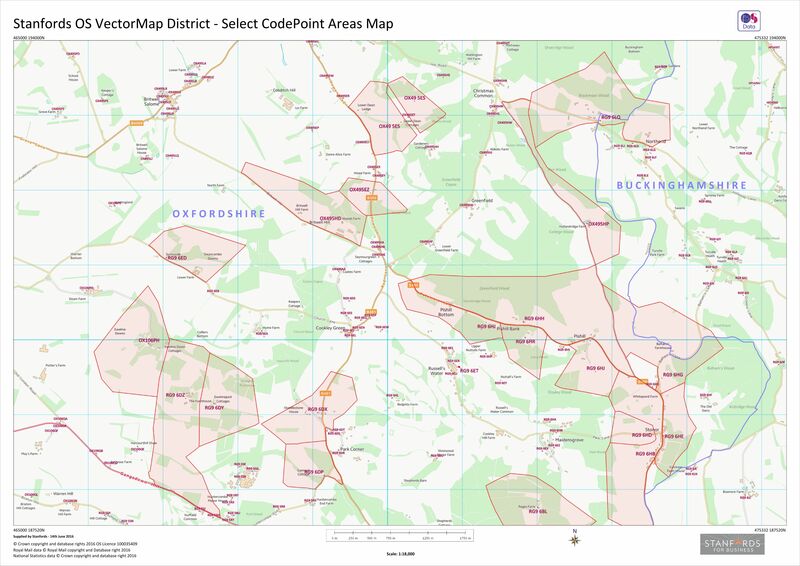 OCC and BT are working on a better map that explains inconsistencies in the current situation – eg Stonor village is listed in OCC’s white list of postcodes as not due for coverage, yet it will have two cabinets. We expect to hear from them shortly as this list of new structures is decoded so we can grasp it. I have mapped the ‘white’ postcodes that OCC does not forecast the current wave of BT investment reaching or as i understand it less than 50% of the houses there will get it – map – the circles map I circulated at the meeting is here. People corresponding with Craig Bower the OCC programme manager seem to have had good results. Even if it only confirms the murk. Elsewhere, in Bucks Rick Scannell of North End has learned that they have rectified their problems and now have a plan which is slowly emerging into the public domain. I have asked Bucks for all the Connect8 postcodes and will publish that here. Connect8 is working with Village Networks on a wireless broadband project to fill in the gaps left by BT and give people who want it a choice. Following the BT meeting we are optimistic about launching this later in 2016 providing 10-20 Mb/s. We shall have more news on this in the next few weeks as our planning firms up. We have put the folk from Little Stoke in touch with Countryside Broadband who run a similar service in that direction. This entry was posted in Britwell Hill, Britwell Salome, Christmas Common, Cookley Green, Cuxham, Greenfield, Howe Hill, Little Stoke, Maidensgrove, Northend, Park Corner, Pishill with Stonor, Pyrton, Russells Water, Swyncombe, Turville Heath, Uncategorized and tagged #connect8, #ruralbroadband, BT, superfast, villagenetworks. Bookmark the permalink. The lack of any planned FTTdp is striking as indeed the option of FOD, I will send you a note. Who decided the 70%?